There are many factors that can cause an iPhone to get stuck on the Apple logo, recovery mode, or blank screen. Among triggers are corrupted apps, bad updates, bugs, and malware. The same thing can occur when the phone has suffered sort of physical or liquid damage from accidental fall or liquid exposure. However, before taking your iPhone to Apple Repair Center, there are a few solutions that can be used to resolved software-related errors from the underlying cause. Tacked in this post are some workarounds to address a pertinent problem on iPhone XS device. Find out what to do if your new iPhone suddenly gets stuck on recovery mode and couldn’t bypass the recovery screen. Before proceeding, you should make sure that no other apps are running. There’s a tendency that other apps would interfere with iTunes and caused system restore to fail. Make sure that your computer is running on the latest iTunes version. This will get rid of system conflicts. 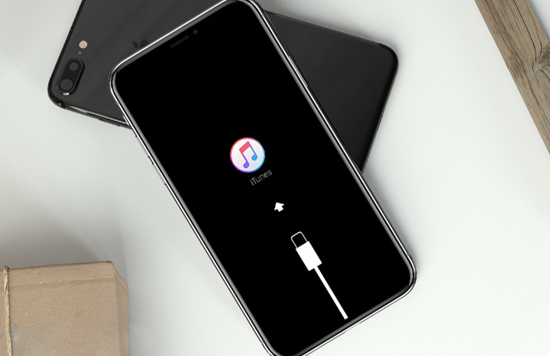 If everything is set with iTunes, try you should perform solutions to fix iOS errors and bring your iPhone XS back to its normal work. Now, press and hold on Power button and then release it when you see the Apple logo. A force restart will get rid of suspended apps like dumps junk files inside temporary files corrupted in your phone memory. Open App Store from the Home screen. Scroll down and tap on Updates tab and you will see a list of apps with pending updates. Tap on the Update button next to each app to update it individually. Tap on the Update All button if you want to update all apps simultaneously. During the reset, your phone will reboot by itself. You can then start enabling the features you want to use on your iPhone XS again. Plug your iPhone XS into the computer with an Apple-supplied Lightning cable. Once it’s connected, quickly press and release the Volume Up button. Now, press firmly on the Power button and continue to hold it until your phone restarts. Don’t release the Power button when the Apple logo appears as you are trying to put your iPhone XS in the recovery state. On your computer, you should see a message in iTunes saying that your iOS device is in the recovery mode and you are prompted options to update or restore. Click on Restore option to wipe out everything from your iPhone and then restore it through iTunes. Don’t unplug your iPhone from the computer unless iTunes completes downloading and installing the latest iOS version. Solution 3: Restore iPhone XS in DFU mode. Plug your iPhone XS into the computer using a lightning USB cable. After your device is connected, press and quickly release the Volume Up button, and then quickly do the same with the Volume Down button. Press firmly the Power button until the screen goes black. As soon as your device screen turns black, quickly press and hold the Volume Down button while still holding the Power button. After 5 seconds, release the Power button while still holding down the Volume Down button until you see your iPhone in iTunes. Finally, go of the Volume Down button as soon as your phone appears in iTunes. Your device is now in DFU mode. You can then start restoring your iPhone in iTunes by following the onscreen instructions to complete the restore. Once the system restore is complete, perform a force restart on your iPhone XS to exit DFU mode and bring your iPhone XS back to its normal state.